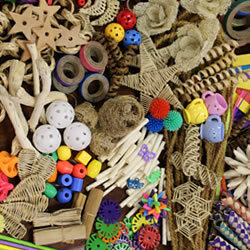 A huge variety of natural, acrylic, wood, rope and bamboo toy parts to make your own toys! Please check back often as we update our website as new toy parts arrive. We have some really exciting things on the way!